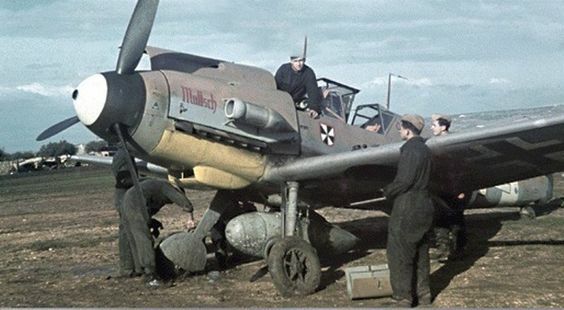 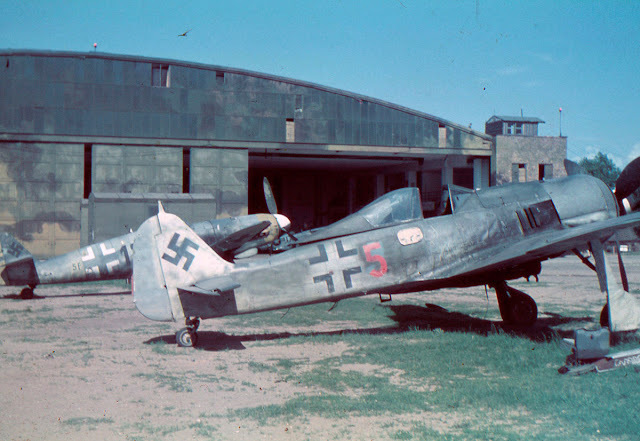 Two very nice views of a Fw 190 A-7/8 with Kommandeur chevrons with diving crow emblem, usually associated with 5./JG 26 but also used by I./StG 1 and II./StG 3 that became I./SG 1 and II./SG 3 in October 43 and then converted to Fw 190 respectively around Dec 44 and June 44. II./SG 3 Kommandeur machine. 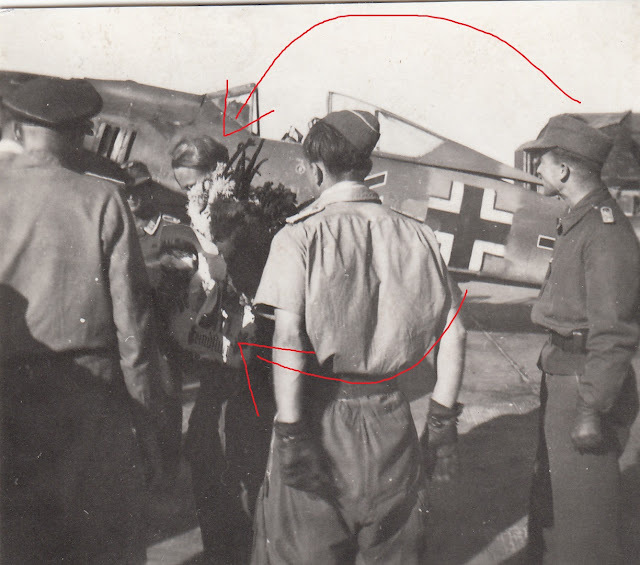 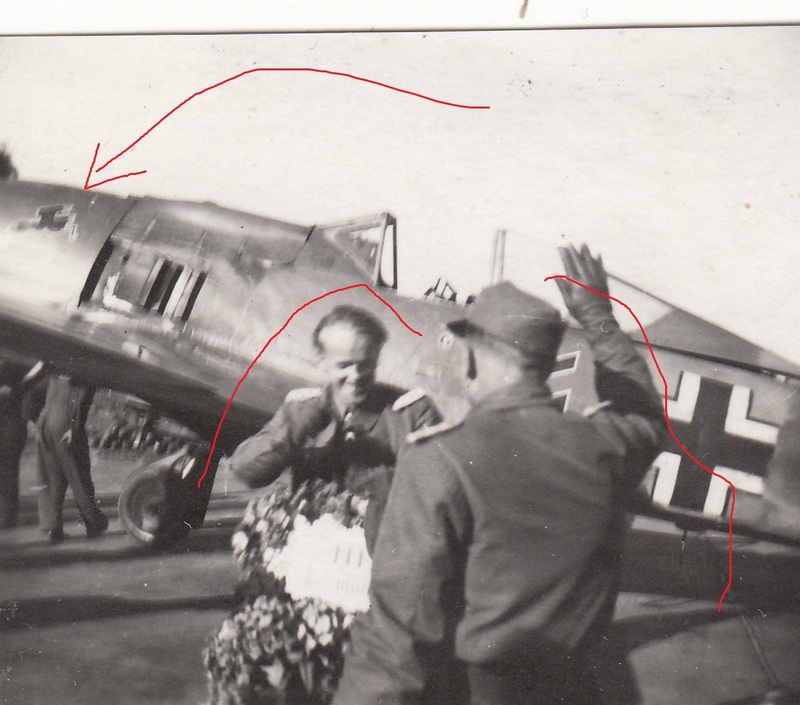 The pilot being greeted with a bouquet is possibly Theodor Nordmann..the wreath appears to commemorate the pilot reaching a landmark 1111 sortie (one thousand one hundred and eleven).."